That each student develops rudimentary skills in the inductive approach to the Scripture by preparing written assignments on the observation, interpretation, and application of Scripture. (I have mention these terms before when writing about Precept Upon Precept studies by Kay Arthur). That each student develops basic facility in the application of the inductive method to specific methods or techniques of Bible Study, such as outlines, word studies, mechanical layouts, and biographies. That each student experiences the joy of personal discovery as he learns to see the truths about God without any assistance other than the Holy Spirit and the Scripture. That each student develops, as a result of his/her study of the Word of God, greater conformity to the image of Jesus Christ. Textbooks: New American Standard Bible and ‘Living by the Book: the Art and Science of Reading the Bible’ by Howard G. Hendricks. Also a reference book: Methodical Bible Study by Robert A. Traina, first published in 1952. Application – What does it Mean to Me? Correlation – How does it fit with the rest of the Scriptures? What is this – Outlines and Foundation Layout? I know, you are thinking this is not an English Grammar class. Why are we doing Mechanical Layouts and Outlines? Well, just as we learned in English Grammar that outlining helped us understand what a book or a paragraph or a sentence was saying, outlining Scripture does the same as well. Many times we find that what we ‘thought’ the Scripture was saying or what we thought was important, takes on a whole new light after outlining it. It is the science of interpretation, especially of the Scriptures. Also the branch of Theology that deals with the principles of exegesis. It actually originated in the 1700’s. Origin of the word is Greek, hermēneutikos meaning expert in interpretation, from hermēneuein to interpret, from hermēneus interpreter, of uncertain origin. It is a critical explanation or interpretation of a text, particularly, a religious text. It includes textual criticism (investigation into the history and origins of the text), but may include the study of the historical and cultural backgrounds of the author, text, and original audience. One who practices exegesis is called an exegete. Exegesis comes from the Greek word exegesis. Origin around 1610-1620. 1.) Always interpret a passage in light of its context. 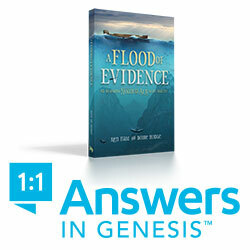 I have just given you a taste of what was included in the Bible Study Methods course we took. I can tell you that it changed our lives. It opened our eyes to how little we really knew and understood in the Scripture. It lead us to the next phase of our educational Scripture understanding journey in the Word. That spring we also began attending Precept Upon Precept classes at the church. I highly recommend the Bible Study Methods class at College of Biblical Studies in Houston as well. There are other colleges and seminaries that offer a similar course as well. If you have questions feel free to comment on this blog. I will reply to you as soon as possible. If you want me to take a look at a class you are considering, send me the info in the comments section of this blog. Clicking on links books in this blog will take you to a site where you may purchase the books. If you purchase from the links we may receive a small commission. ‹ Forgiveness: Breaking the Power of the Past – Is it Possible?